Watch FIFA-2018 live on UZREPORT TV and FUTBOL TV channels! UZREPORT TV and FUTBOL TV channels are set to cover all matches of the upcoming championship on the air and in high definition. The most anticipated event of the last four years for all football fans around the world - 2018 FIFA World Cup Russia - will be underway from June 14 to July 15, 2018. Uzbekistan with its million army of fans is looking forward for the day it begins, as football is the most popular sport in the country. Unfortunately, not everyone is granted a happy chance to follow the matches of the championship directly from the stadiums, and most of the fans are preparing to cheer for their favorite teams and beautiful football on TV. "UzReport" News Agency owns the exclusive license rights to broadcast matches and other accompanying programs of the 2018 FIFA World Cup Russia on the territory of the Republic of Uzbekistan. UZREPORT TV and FUTBOL TV channels are set to cover all matches of the upcoming championship on the air and in high definition. The championship will comprise 64 matches, including: 48 matches of the group stage and 16 matches of the play-off stage. 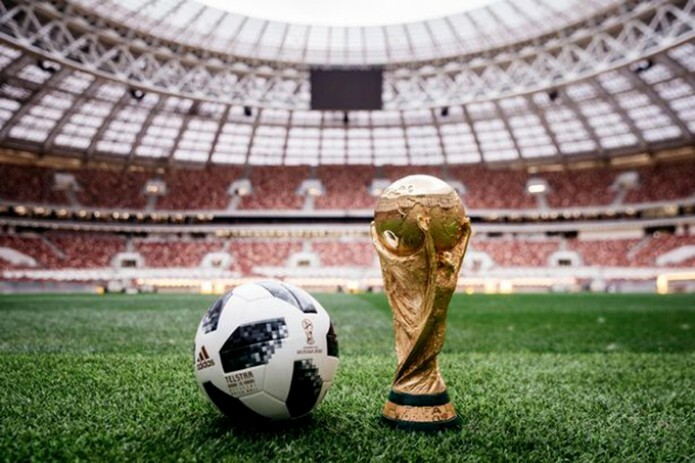 The simultaneous work of a group of commentators in Uzbek and Russian languages and a bilingual audio track, which allows viewers to choose the language of commenting on their own, will serve as yet another advantage of watching the games o UZREPORT TV and FUTBOL TV. In addition to above-mentioned news, viewers will also have a chance to meet the stars of Russian sports review: Denis Kazansky and Alexander Yelagin, who are expected to arrive in Tashkent to commentate on the matches jointly with sports experts of UZREPORT TV and FUTBOL TV. In addition to live broadcasts, at the end of each match day viewers of both TV channels will be able to watch a diary of the tournament during a show called "Highlights". It will bring together the most vivid and exciting moments of the past games, information about the players and coaches of the national teams, as well as records and interesting facts about 2018 FIFA World Cup Russia. Moreover, UZREPORT TV and FUTBOL TV have already launched the broadcast of a documentary consisting of 16 series - "Mundial sari yo'l" (The road to the World Cup). The film tells about the preparation process of each national team and challenges players and coaches had to overcome on the way. The show will be on air until July 13 and is set to be a real gift for all lovers of the great game. The official partner of the 2018 FIFA World Cup Russia broadcasts on UZREPORT TV and FUTBOL TV is JV LLC "Coca-Cola Ichimligi Uzbekistan, Ltd". Additional reference: For you to find the news about the championship online in easiest way possible, the website of "UzReport" News Agency (uzreport.news) has launched a new section – FIFA2018. All news of the agency are also available on Facebook (fb.com/futboltv.uz) and Telegram accounts (t.me/FUTBOLTV).